This place is called Churro Borough. Oh, you want to explore the topic in greater depth. Jean-Georges. wd~50. Not places that take a particularly strong position on sandwiching ice cream between thin, crisp, circular churros. 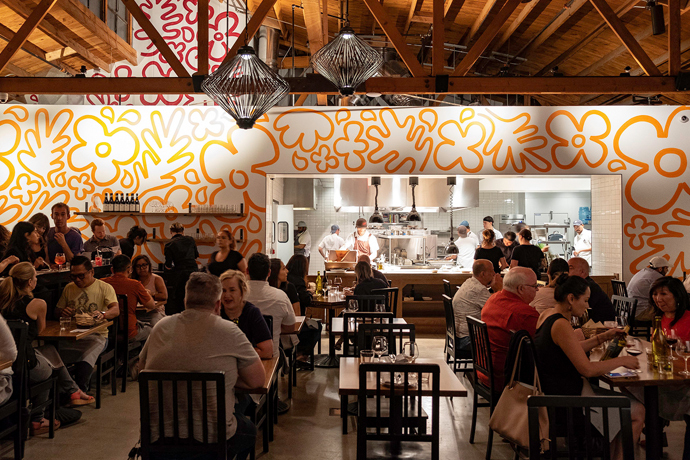 Fortunately, you’ll find one of their former pastry whizzes doing that in this retro ice cream parlor shielded in white tile, wood, and murals of drifting clouds, abstract faces and spitting fire. Heavy. For some patio time with a spicy hot chocolate or Spanish latte ice cream churro sandwich after a taco truck lunch down the street. For churro fries with salted caramel dipping sauce after wine with friends, because Covell lacks churro fries. For a post-Rockwell strawberry-buttermilk shake or spicy mango paleta.